+Over 1600 pages reduced into 1 volume! In the 16th Century, at a time of Protestant persecution, The Blessed Virgin spoke to Ven. 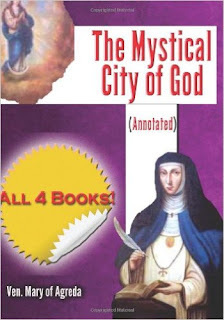 Mary of Agreda Mystical City of God is an amazing collection of four books of revelations about the life of Mary and the divine plan for creation and the salvation of souls that has been enthralling readers for centuries. 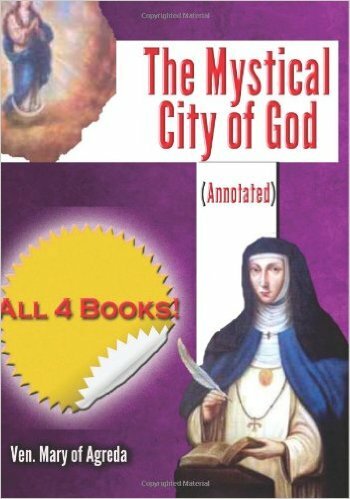 The complete collection includes the Conception, Incarnation, Transfixion and Coronation. You will be taken on a journey like no other through through life of the Holy Virgin Mother of God and her Son our Saviour.